Focused on making you feel good – not on the scales. The Restart Your Life program is a judgement free and inclusive approach to weight loss. The focus is not on the size of your jeans – it’s on empowering you with confidence about what your body can do. A support system is key for health management and weight loss. Restart Your Life will connect you with like-minded people you can lean on, learn from and share the journey with. Feeling your best may not actually require you to lose much weight (if any). We encourage you to eat a healthy, balanced diet and exercise regularly in the proper manner for your body. These things will make you healthy and feel good, even before your weight loss. Free initial assessment. Contact us! What is the Restart Your Life program? Restart Your Life is an ongoing program. It’s about long term health change. We coach you to make small changes over time to help you change your mindset and keep the weight off long term. It is not a short, rapid weight loss challenge. Rapid weight loss often leads to putting the weight back on again. 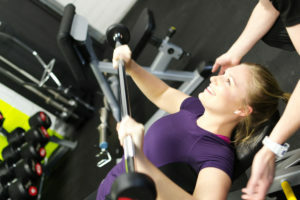 This is a research based program conducted by an accredited Exercise Physiologist (rather than a gym personal trainer). You will receive personal advice from someone who understands the human body and the benefit that exercise has on it, both mentally and physically. Structured resistance training: burn the most amount of calories in a session. Boxing: HIIT sessions – great fun, interactive and good for stress relief. Pilates/Floor mobility work: work out the sore spots from all your hard work. Management of calorie intake: we educate and help you plan for the upcoming week. Food choices and planning: feel empowered by your food choices rather than deprived. Restarting Your Life with increased fitness and healthy eating habits opens up new opportunities to you every day. FREE week trial. Register now. What do our members say about the program? Suzanne: I was excited to join the Restart Your Life program after I heard about Vector Health from a co-worker. I was first provided a one-on-one session with Zac to do the “scary bits” (weight, measurements and general movement assessment). A gentle approach was taken during our first week or so to allow us to get moving again and this helped train our mind set on the possibility that we run, squat and lift. We were given advice on food and learnt about tracking food. I was shocked at some of my food choices (see ya Red Rooster Roll and Chips!). Goal setting was difficult at the start, but they helped me break it down and make it easier to achieve my ultimate goal of being “Fit and fabulous before I was 50”. I thoroughly enjoyed all aspects of the program, yes, even the running. My fitness level and flexibility slowly improved and my skin and hair even looked better because of the overall health changes I made. Mentally and physically I have been able to cope better with some of life’s challenges. While I thought I was in “okay” shape, I feel 1000 times better for being part of this program. At no time did I feel intimidated or judged by the trainers, I only ever received encouragement. I have and would recommend RESTART to anyone wishing to make significant changes or wanting to feel better better about themselves. Restart Your Life today! Sign up now.